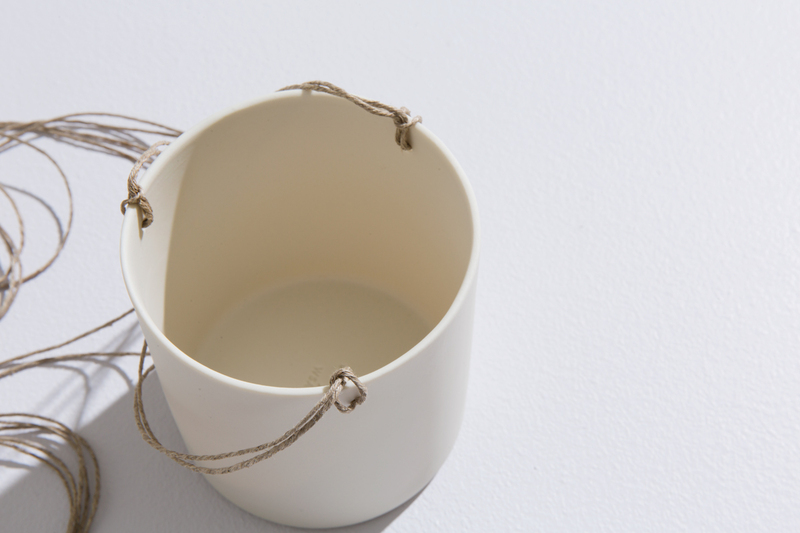 Let your plants hang high in this beautifully delicate flowerpot. 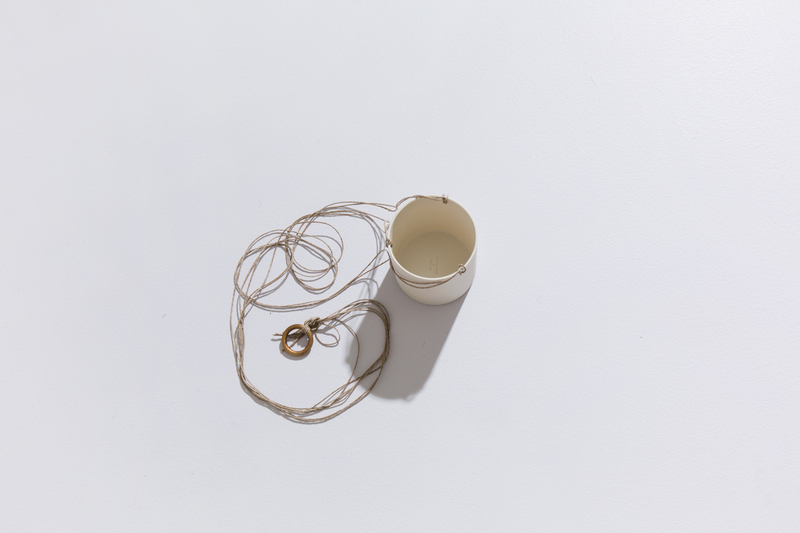 Made out of porcelain, it has strings of linen and a brass ring for hanging. The vase can hold water. If you decide to plant your plants in it, remember to water them sparingly. 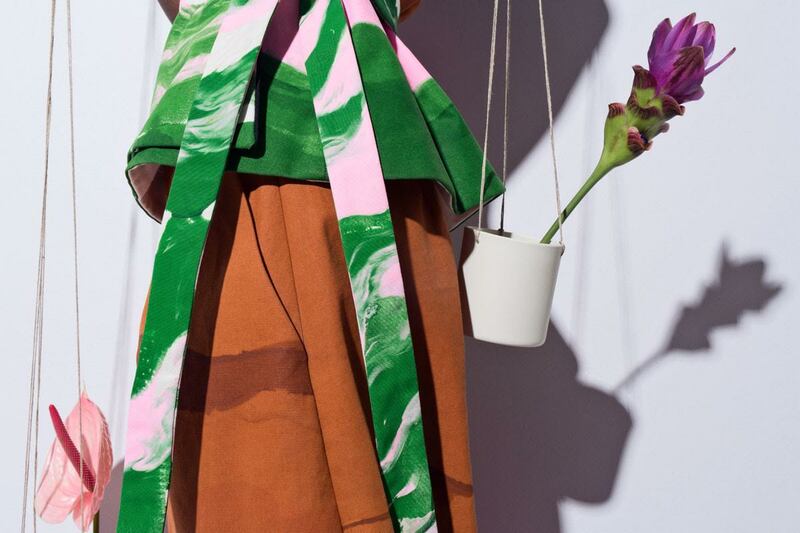 Plant hanger is the result of a collaboration between Otchipotchi and WSAKE. Behind Otchipotchi is Paula Valentim, a ceramic artist living in a small town in Portugal. WSAKE is a father-daugher-team based in Germany in which the father is an experienced silver smith and the daughter is a graphic designer.